With tax season in full swing, we want to highlight GKH’s Tax Law practice area. Our experienced Tax Law attorneys provide tax consultations and counsel for small businesses on a wide variety of matters, including tax planning, employment tax issues and worker classification. GKH attorneys also represent individuals in matters of identity theft, innocent spouse claims, private letter rulings, whistleblower claims, FBAR filings, assessment appeals, and realty transfer tax appeals. GKH’s tax attorneys also represent individuals and business owners who are involved in federal, state or local tax disputes. Whether the tax controversy involves an IRS examination, an appeal of an adverse ruling, representation in U.S. Tax Court, preparing an offer in compromise, or otherwise protecting a taxpayer’s right to pay no more than the correct amount of tax, GKH tax attorneys focus on obtaining the best tax result for their clients. Attorney Peter Kraybill works primarily with businesses and business transactions, including real estate transactions, asset purchases, and succession planning. He also counsels nonprofits, helping them to obtain and maintain federal tax exempt status. 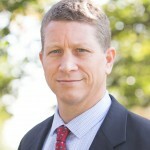 Attorney Kraybill is available to meet clients in both the Lancaster and Ardmore offices. 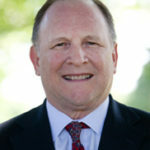 Attorney Don Hess provides counsel to businesses and corporations on diverse matters. In his tax practice, he works primarily with 1031 exchanges, assessment appeals and realty transfer tax appeals. 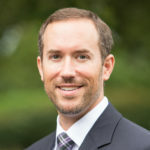 Attorney Doug Smith has many years’ experience representing individuals and small business owners in IRS audits, appeals, and deficiency proceedings, frequently securing favorable collection alternatives for his clients. He has experience dealing with liens and levies, penalty abatement, innocent spouse relief, substantiating business expenses, foreign bank account reporting, trust fund recovery penalty, and identity theft. He also works with nonprofits in obtaining, reinstating and preserving tax exempt status. Prior to joining GKH, Doug served as Director of the Central Pennsylvania Federal Tax Clinic, a nonprofit startup for which he was awarded the ABA Tax Section 2010-2012 Public Service Fellowship. Doug is available to meet clients in both the Lancaster and Ardmore offices. Whether filing for tax-exempt status, untangling employment tax issues, or representing clients facing IRS audits, GKH tax attorneys are committed to providing experienced and attentive legal counsel to every client. Contact us to find out how we may serve you.